Too often fear of getting in trouble can cause underage drinkers in need of emergency assistance to not seek help when medical attention is vital. I have introduced legislation to create a lifeline bill which will give young people the incentive to make the right choice and call 911. 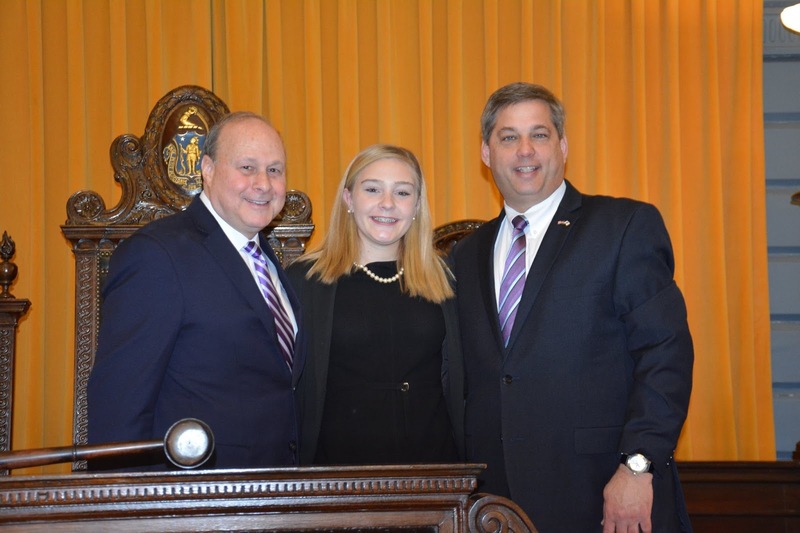 The bill provides immunity from prosecution of possession and consumption of alcohol charges if a person under 21 calls for help, stays with the victim, and cooperates with safety officials. 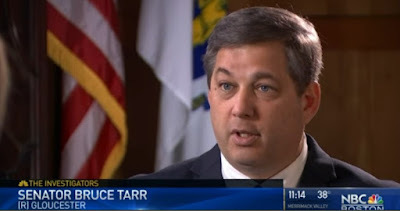 Here is NBC Boston's most recent report on the bill. Today, I proposed the Lifeline Medical Amnesty for Persons Under Age 21, a bill which will give legal shelter to youth who contact 911 when an alcohol overdose occurs and a life is at risk. 35 other states have adopted similar measures. NBC Boston reporter Karen Hensel talked with me this afternoon about this important issue. Underage drinking is a serious problem that impacts many families in our state. 35% of youth between the ages of 18 to 20 self-reported having consumed 5 or more drinks in a row within a 30 day period of a recent study. Sadly, emergency medical situations can quickly arise leading to dangerous decisions and serious harm. The fear of seeking help should be replaced with the knowledge that a call to 911 will be answered by professionals trained in health emergency situations under the provisions of my bill. If a 911 caller, or other underage person trying to help, remains with the victim and cooperates with public safety professionals when help arrives they would not be prosecuted for possession of alcohol pursuant to the bill. We should do everything we can to confront the issue of underage alcohol abuse and promote prevention efforts, and the bill I proposed today is only one tool to try to do just that. You can watch Karen Hensel’s first news report on this problem below. 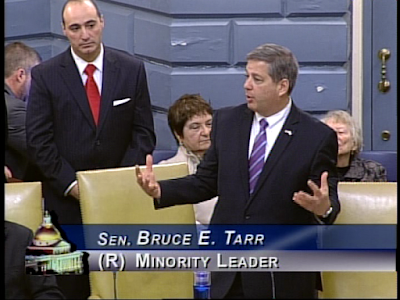 Check her upcoming report to see our conversation about why I filed this legislation. Today, the Senate adopted my order to create a special committee to examine citizen engagement in the legislative process. Senate Bill 7 is only the second legislative order of the new 2017 session approved by the Senate. Responsive and effective government depends on good communication with people in our state, and that, in turn depends on them having ready access to the operations and discussions of the Legislature. The adoption of this order signals our intention to continuing to advance the goal of an open and interactive legislative process. Senate President Stan Rosenberg agrees, he said “This is an important initiative for transparency and civic engagement. Internet access and live-streaming is good but television would be better." The Senate Majority and I will serve as co-chairs with three additional members appointed by the Senate President Stan Rosenberg and two other members appointed by me. • Standards for electronic social media use by members. Technology and communication in the world around us are changing and its important that the Senate identify and embrace the new tools that may be responsibly used to foster public discussion, and disseminate and collect information. The committee established in this order will serve an important function by finding the best paths for our body to capture new opportunities to fulfill a mission that we have long shared collectively. A very pleasurable visit from the Rowley Council on Aging Topsfield Council on Aging yesterday. Representative Brad Hill, Senator Joan B. Lovely and I welcomed these seniors to the State House for a tour and then they had lunch in Nurses Hall. We nominated Janet Brown, aged 96, of Topsfield as our Senate President. 2016 ended with celebrations and fireworks; the beat of time marches on. Our state government marks time in numerous ways including calendar years and fiscal years (from July 1st to June 31st), and the Legislature measures session time not only by the laws of celestial physics but by the law of the Constitution. 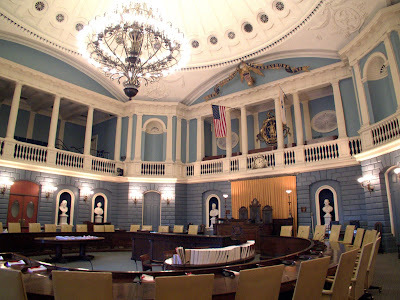 The framers of the Massachusetts Constitution, the oldest functioning constitution of any government in the world, declared in Chapter One, Section One that the “political year shall begin on the first Wednesday of January”. Tomorrow morning all newly elected members of the House and Senate, and those returning after successful re-election, will meet in their respective chambers of the State House to begin the 190th session of the General Court. Each two-year legislative Senate session starts with the nomination of our Senate President and Clerk and the adoption of a set of rules to operate under. 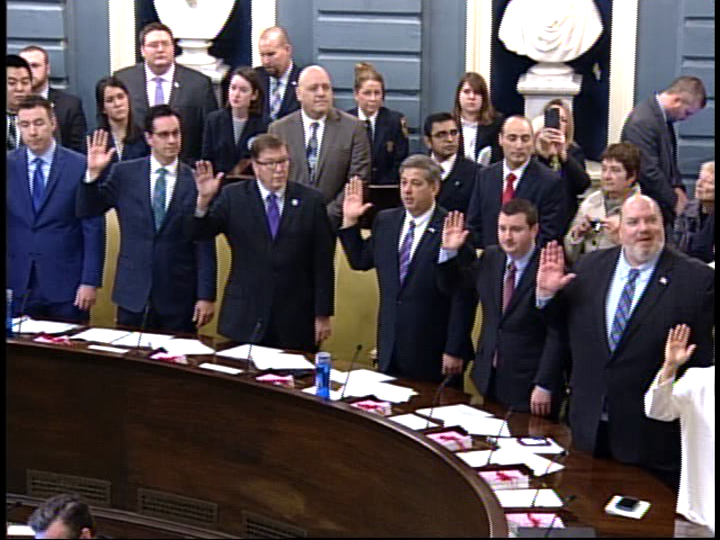 Each member will solemnly swear an oath to bear true faith and allegiance to the Commonwealth and to faithfully and impartially perform all the duties incumbent on them as a member of the Senate to the best of their abilities. 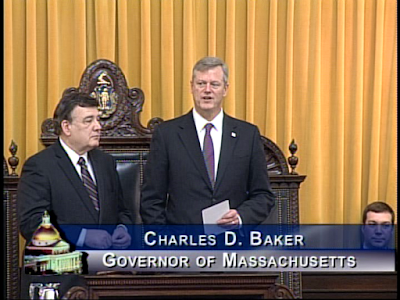 This will be the second time that Governor Baker will have administered this oath in the Senate Chamber. 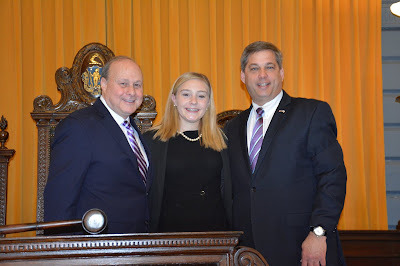 Governor Baker and other members of the government including Councilors and Constitutional Officers such as the Lieutenant Governor, Secretary of the Commonwealth, Treasurer, and former members will likely attend. 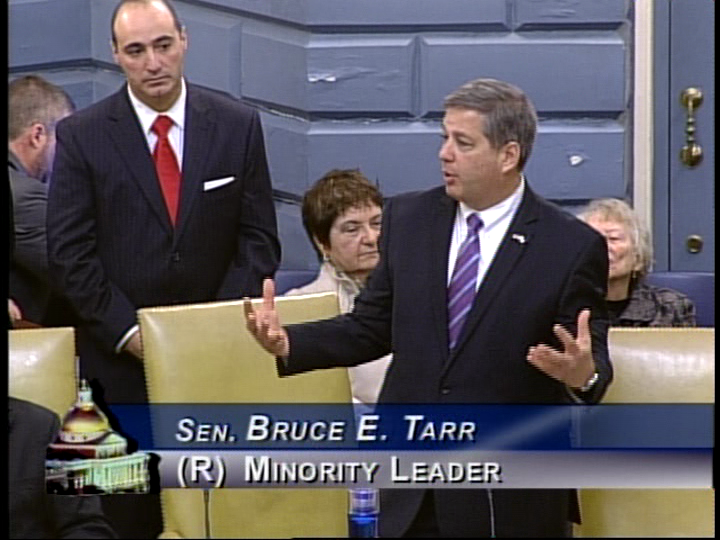 This starts the clock on a two year legislative term. In short order members, each representing approximately 163,000 residents in 40 separate and distinct, will file legislative petitions and dockets, be assigned to serve on committees, and begin debating public policies that will shape the future of our state. I welcome and encourage you to share your ideas, concerns and participation in this process; the right time be involved in your government is always now.